Brutalism is a topic that never fails to stir up controversy. That ultra-polarizing love-it-or-hate-it hiccup of 1960s and 70s Modernist architecture. It seems that everyone has an opinion about these veritable bunkers around the world, and a very strong one at that. Architects love them. The general public hates them. Perhaps that’s why I am so intrigued by them – by their sheer power to stir up emotion. But before I continue, I need to back up and give some context. I spent my summer job working on a project to compile an inventory of historical buildings on the McGill campus. Our investigation comprised research into the history of the buildings; an analysis of their stylistic composition, building materials, and construction; a study of their relationship to the urban context; and a critical analysis of their historical value and character-defining elements. The interesting thing to note is that to be considered for heritage preservation, the building needs to be a minimum of only 40 years old (at least in Canada), meaning that we studied the heritage of all buildings constructed prior to 1970. McGill doubled the size of its campus between 1950 and 1971, so there was no shortage of modern buildings on top of the impressive roster of historical constructions in their possession. There are, in our opinion, some noteworthy and valuable Modernist buildings on the campus. Of course, there are a handful that are so dreadful the mere thought of them stirs up a nightmare of emotions (such as Burnside and Stewart Bio), but other buildings, such as the McLennan Library and the Leacock Building, have some architectural merit that can’t be overlooked. Within those two buildings, there are some spectacular spaces that provide a unique and powerful experience, among them (in my opinion) the central stairwell of McLennan and the connection between the Leacock Building and Arts West Wing. Other aspects contribute to their heritage value, such as the architects (a young group named ARCOP designed the Leacock and Shatner (SSMU) Buildings); their placement on the site and connection to the neighbouring buildings; their landmark status; their building materials and composition (often the form and colour palette were intended to match the existing buildings); and their interior organization (McLennan Library and Redpath Library are particular noteworthy for their completely open floor plans). It is at this point in the conversation where the person I am speaking to looks at me as if I have some deadly contagious disease or I have suddenly succumbed to an accelerated case of dementia. How could I possible call these horrid buildings beautiful? These are the scars on our picturesque campus. They must be destroyed. In fact, there was not a single modern building I visited on the McGill campus where my tour guide did not talk obsessively about how much they hated the building, and how little historical value it had. One even went so far as to accuse the building of causing cancer (which is, actually, entirely possible due to the potential presence of asbestos or mould). I couldn’t help but contrast this to the visits I had at the old mansions of Montreal’s Square Mile neighbourhood, most of which were constructed from 1890-1920 and are now owned by McGill, where the occupants did not hold back on explaining endlessly about how much they loved working in these. This may seem like a fairly obvious observation: old mansions are beautiful, Brutalist buildings are ugly. But it got me thinking, what about Brutalism is so terrible? Why are these buildings, which were and in some cases still are considered architectural masterpieces, hated so thoroughly by the general public? As most architects will know, “because they’re ugly” is not an acceptable reason to dislike a building. One must delve into the mystery as to what makes them seem ugly. Immediately, one will blame the characteristic exposed rough-textured concrete generously employed in both the interior and exterior of the building. Rough concrete has a sobering, blunt effect on the senses – it is a grey, heavy, solid mass that presents an imposing surface or volume regardless of context. The material hides nothing and loudly announces its existence, its in-your-face honesty the only ornamental feature of these facades. Perhaps one may also mention the rigid geometry applied to these buildings – their hard edges, right angles, large volumes, repetitive patterns, and juxtaposing masses. One may also point out their often glaring disregard to the urban context, often manifesting themselves as a giant concrete spaceship that landed in the heart of the city and clearly does not belong. All valid arguments. But for us architects, we look at these buildings, and notice the play of light on the rough surfaces, the ever-changing and intriguing spatial arrangements of the multiple interconnected levels, double-height floor spaces, and complete fluidity and irregularity of the interior plans. These are architectural features that can make most of us drool with excitement. Perhaps I can take it one step further and offer a suggestion: that the perception of our environments is a projection of our inner desires and comforts, and that our perception of beauty may be directly related to our personal connection with our surroundings. This may explain why we see a blank wall and immediately wish to fill it with images and paraphernalia. Or when we move into a new office or house and immediately have the desire to personalize it. Why do we crave visual complexity in its absence? Brutalist buildings offer no respite, and no opportunities for our personal input. They are what they are and they cannot be changed. Everything is laid bare; the rough concrete walls cannot be covered, the geometric facade cannot be ornately carved, no paint, posters, or photographs can diminish the presence of the concrete; any of these actions will destroy the unity of the building’s composition and will make it far worse than it currently appears. The honesty of its construction cannot be related to unless you live your life fantasizing about construction – i.e., you are an architect. What does the general public associate with grey, textured concrete? Bunkers. Infrastructure. Wars. Political protests. Civil unrest. Hardness. Heaviness. Brutality. Nothing personal, or pleasant, in any case. Compare, briefly, with a historical nineteenth-century building constructed in a Neoclassical style. The elaborate exterior decoration, the symmetry, the ornate door frames, the plaster ceiling trim, the mantelpieces, the woodwork of the staircases, the large double-hung windows: these are often perceived positively by the general public, contributing to a pleasant atmosphere. The building has a character prescribed to it that relates to floral themes, royalty, richness, decoration, arts and crafts, and history. All attributes with positive associations that can be related to someone’s own personal experiences, hopes, and dreams. Neoclassical woodwork and plasterwork are sculpted by hand; concrete is sculpted by machine. A quote I recently came across in the infamous architectural novel, The Fountainhead, written by Ayn Rand, sums up quite well what the main difference between modernist and historical styles is. She writes, “Your house is made by its own needs. Those others are made by the need to impress. The determining motive of your house is in the house. The determining motive of the others is in the audience (126)”. I believe that this puts the issue quite eloquently: historical buildings were constructed for an audience and were intended to impress, and are thus much more loved by the general public. Modernist buildings were rational designs constructed to be functional and to only express its very elemental components, thereby leaving the building to appear in its own right, without any ornamentation meant to impress. My feelings for Brutalist buildings will always be mixed: my love for their form, spatial complexity, and engaging experiences, juxtaposed with my dislike for their lack of relation to their surroundings, their heaviness and austerity, and their lack of positive reception. The personal connection is missing in Brutalism. But that was the point, right? It was all about democracy. It did not flaunt itself in front of everyone. It was simple, it was honest and transparent in its construction, it did away with the conventional hierarchy of spaces – it was built for the generic masses. But, I guess it suffers from the inevitable side-effect that in relating to the masses, the architecture relates to no one in particular. 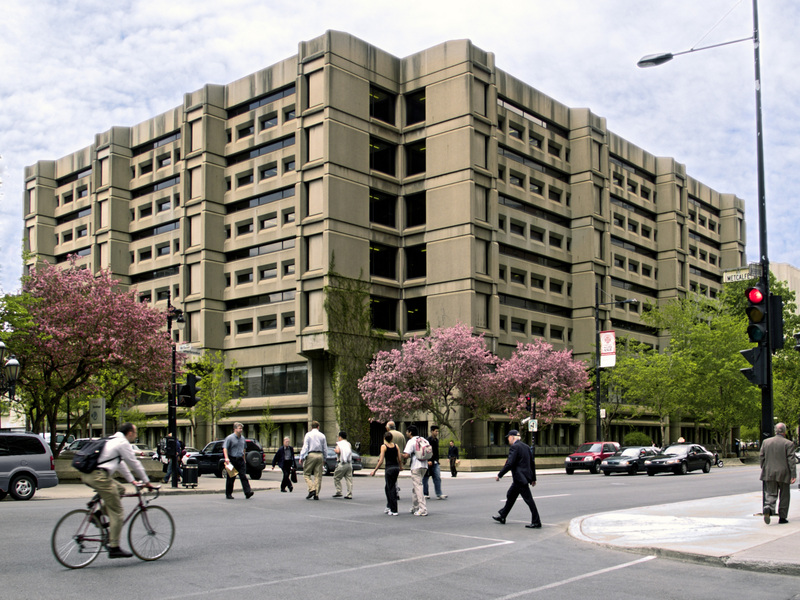 Extracurricular Fun Fact: The term ‘Brutalism’ derives from the French term béton brut – meaning ‘rough concrete’ – and not because the buildings are ‘brutal’ in appearance. The term fits in that sense, however, as the buildings often are brutal in their composition – brutal, of course, meaning honest and revealing, not ‘ugly’, which is the popular belief for the origin of the word.